I have long been intrigued by business institutions that have found ways to survive for not only decades but centuries. How come York Water was able to make dividend payments during the Battle of Gettysburg and find a way to still pay shareholder dividends all the way into 2017? How come the little Wall Street bank whose charter was written by Alexander Hamilton manages to collect exorbitant fees stewarding over ADRs under its current name BNY Mellon? My most recent case study involved the study of how State Farm became a major player in the life insurance industry. From what I can tell, State Farm found success because it was innovative in marketing its insurance products, explicitly by rejecting the long-standing industry reliance on the 1852 book by the religious-leader-turned-life-insurance-guru Elias Heiner who wrote the book “An Examination and Defense of Life Insurance.” Up until the 1940s, this was considered the bible of selling life insurance. In particular, the pre-State Farm life insurance industry didn’t rely on cheap quotes or gimmicky ads but relied on theological/moral persuasion. State Farm succeeded in the life insurance industry because it framed its pitches to customers in terms of interests rather than values. It is almost always easier to convince people to do something when they feel they are receiving a benefit compared to making a sacrifice. 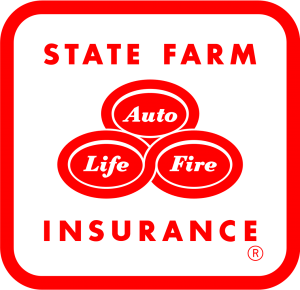 Wildly, State Farm’s competitors in the life insurance industry largely made arguments in terms of duty and sacrifice up through the 1980s. When State Farm decided to get into the life insurance industry during the Great Depression, it was filled with salesman who made moral arguments. The competitors argued that you had a moral duty to provide for your family in the event of your death, and paying a small monthly or quarterly premium was a way of fulfilling your husbandly obligations to make sure that your wife didn’t end up destitute after your death. But, as a State Farm marketing executive told Hunt’s Merchants’ Magazine in 1976, State Farm sought to distinguish itself by focusing on what he called “the vocabulary of motives.” It was no longer the most effective practice to persuade people in terms of duty using the imagery of their religious values, but instead, it was better to appeal to their interests. Between 1945 and 1985, the average life insurance company saw 5.5% sales growth across the industry. Meanwhile, State Farm saw 9.5% growth in purchase of its policies. How did that happen? I would argue that it is because State Farm focused its ubiquitous advertisements on explaining why life insurance is in your utilitarian self-interest rather than relying on a Catholic guilt trip about sacrifice and a withering widow. In my view, this is something that comes straight out of the Benjamin Franklin playbook. In his own diaries, Franklin claimed that he was able to convince American colonists of the value in adopting Madison’s Bill of Rights by convincing his audience that they would hold minority views in need of protection. If he instead argued that it was altruistic to tolerate others, who knows how that would have reduced the possibility of implementing Madison’s vision. By understanding why State Farm was able to become such an established titan in the insurance industry, you can understand the emotional appeals in today’s advertisement. I have no view on whether or not you ought to take out a State Farm life insurance policy. But I do have a view on what tactics they will use to persuade you that you need it. They were able to distinguish themselves from their insurance industry peers by focusing on “interests” rather than “values”, and if you pay attention to the iteration of their insurance ads today, you will see that they are using the pursuit of “security” as the interest you can realize by taking out their life insurance policy. It’s the same corporate impulse that led to a century of success being custom-fit for the current times.